Calling all writers! Meet up with like-minded locals to discuss authors and ideas, to listen to and inspire one another. If you'd like to read some of your work please keep it below 1,000 words. This meeting will be moderated by Richard Leone. 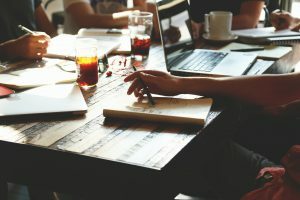 Anyone who loves to write is welcome to join this community for an opportunity to receive constructive feedback and network with other writers. The group meets on the second Thursday of the month at 6:00pm in Meeting Room 3 on the lower level of the Main Branch in Monument Square. If you’d like to read some of your work please keep it below 1,000 words. We encourage participants to come ready to share, but do not feel as though your piece needs to be polished in any way. All forms of writing are encouraged and welcome. This meeting is free, open to the public and moderated by local writers. We hope to see you there! Your inspiration for the May meet-up is “spring time.” Please write for no more than 10 minutes using “spring time” as your subject. This exercise is intended to get you motivated and to have some fun – so get to it!